This article is about a Native American site at Cahokia Mounds. For the modern city about 10 miles (16 km) to the southwest, see Cahokia, Illinois. For the former Native American tribe unrelated to the builders of the Cahokia Mounds, see Cahokia tribe. St. Clair County, Illinois, U.S. The Cahokia Mounds State Historic Site /kəˈhoʊkiə/ (11 MS 2) is the site of a pre-Columbian Native American city (circa 1050–1350 CE) directly across the Mississippi River from modern St. Louis, Missouri. This historic park lies in southern Illinois between East St. Louis and Collinsville. The park covers 2,200 acres (890 ha), or about 3.5 square miles (9 km2), and contains about 80 mounds, but the ancient city was much larger. In its heyday, Cahokia covered about 6 square miles (16 km2) and included about 120 manmade earthen mounds in a wide range of sizes, shapes, and functions. Cahokia was the largest and most influential urban settlement of the Mississippian culture, which developed advanced societies across much of what is now the central and southeastern United States, beginning more than 1,000 years before European contact. Today, Cahokia Mounds is considered the largest and most complex archaeological site north of the great pre-Columbian cities in Mexico. Cahokia Mounds is a National Historic Landmark and a designated site for state protection. It is also one of only 23 UNESCO World Heritage Sites within the United States. The largest prehistoric earthen construction in the Americas north of Mexico, the site is open to the public and administered by the Illinois Historic Preservation Division and supported by the Cahokia Mounds Museum Society. In celebration of the 2018 Illinois Bicentennial, the Cahokia Mounds were selected as one of the Illinois 200 Great Places by the American Institute of Architects Illinois component (AIA Illinois) and was recognized by USA Today Travel magazine, as one of AIA Illinois's selections for Illinois 25 Must See Places. Although some evidence exists of occupation during the Late Archaic period (around 1200 BCE) in and around the site, Cahokia as it is now defined was settled around 600 CE during the Late Woodland period. Mound building at this location began with the emergent Mississippian cultural period, about the 9th century CE. The inhabitants left no written records beyond symbols on pottery, shell, copper, wood, and stone, but the elaborately planned community, woodhenge, mounds, and burials reveal a complex and sophisticated society. The city's original name is unknown. The mounds were later named after the Cahokia tribe, a historic Illiniwek people living in the area when the first French explorers arrived in the 17th century. As this was centuries after Cahokia was abandoned by its original inhabitants, the Cahokia tribe was not necessarily descended from the earlier Mississippian-era people. Most likely, multiple indigenous ethnic groups settled in the Cahokia Mounds area during the time of the city's apex. Historian Daniel Richter notes that the apex of the city occurred during the Medieval Warming Period. This period appears to have fostered an agricultural revolution in upper North America, as the three-fold crops of maize, beans (legumes), and gourds (squash) were developed and adapted or bred to the temperate climates of the north from their origins in Mesoamerica. Richter also notes that Cahokia's advanced development coincided with the development in the Southwest of the Chaco Canyon society, which also produced large-scale works in an apparent socially stratified society. The decline of the city coincides with the Little Ice Age, although by then, the three-fold agriculture remained well-established throughout temperate North America. Cahokia became the most important center for the people known today as Mississippians. Their settlements ranged across what is now the Midwest, Eastern, and Southeastern United States. Cahokia was located in a strategic position near the confluence of the Mississippi, Missouri, and Illinois Rivers. It maintained trade links with communities as far away as the Great Lakes to the north and the Gulf Coast to the south, trading in such exotic items as copper, Mill Creek chert, and whelk shells. Mill Creek chert, most notably, was used in the production of hoes, a high demand tool for farmers around Cahokia and other Mississippian centers. Cahokia's control of the manufacture and distribution of these hand tools was an important economic activity that allowed the city to thrive. Mississippian culture pottery and stone tools in the Cahokian style were found at the Silvernale site near Red Wing, Minnesota, and materials and trade goods from Pennsylvania, the Gulf Coast and Lake Superior have been excavated at Cahokia. Bartering, not money, was used in trade. At the high point of its development, Cahokia was the largest urban center north of the great Mesoamerican cities in Mexico and Central America. Although it was home to only about 1,000 people before circa 1050, its population grew rapidly after that date. According to a 2007 study in Quaternary Science Reviews, "Between AD 1050 and 1100, Cahokia's population increased from between 1,400 and 2,800 people to between 10,200 and 15,300 people". an estimate that applies only to a 1.8-square-kilometre (0.69 sq mi) high density central occupation area. Archaeologists estimate the city's population at between 6,000 and 40,000 at its peak, with more people living in outlying farming villages that supplied the main urban center. In the early 21st century, new residential areas were found to the west of Cahokia as a result of archeological excavations, increasing estimates of area population. If the highest population estimates are correct, Cahokia was larger than any subsequent city in the United States until the 1780s, when Philadelphia's population grew beyond 40,000. Moreover, according to the same population estimates, the population of 13th-century Cahokia was equal to or larger than the population of 13th-century London. One of the major problems that large centers like Cahokia faced was keeping a steady supply of food. A related problem was waste disposal for the dense population, and Cahokia became unhealthy from polluted waterways. Because it was such an unhealthy place to live, Snow believes that the town had to rely on social and political attractions to bring in a steady supply of new immigrants; otherwise, the town's death rate would have caused it to be abandoned earlier. The population of Cahokia began to decline during the 13th century, and the site was eventually abandoned around 1300. The area around it was not reoccupied by indigenous tribes until around 1350. [clarification needed] Scholars have proposed environmental factors, such as overhunting, deforestation, and flooding, as explanations for abandonment of the site. Another possible cause is invasion by outside peoples, though the only evidence of warfare found are the defensive wooden stockade and watchtowers that enclosed Cahokia's main ceremonial precinct. There is no other evidence for warfare, so the palisade may have been more for ritual or formal separation than for military purposes. Diseases transmitted among the large, dense urban population are another possible cause of decline. Many theories since the late 20th century propose conquest-induced political collapse as the primary reason for Cahokia's abandonment. Together with these factors, researchers found evidence in 2015 of major floods at Cahokia, so severe as to flood dwelling places. Analysis of sediment from beneath Horseshoe Lake has revealed that two major floods occurred in the period of settlement at Cahokia, in roughly 1100–1260 and 1340–1460. The original site contained 120 earthen mounds over an area of 6 square miles (16 km2), of which 80 remain today. To achieve that, thousands of workers over decades moved more than an "estimated 55 million cubic feet [1,600,000 m3] of earth in woven baskets to create this network of mounds and community plazas. Monks Mound, for example, covers 14 acres (5.7 ha), rises 100 ft (30 m), and was topped by a massive 5,000 sq ft (460 m2) building another 50 ft (15 m) high". Monks Mound is the largest structure and central focus of the city: a massive platform mound with four terraces, 10 stories tall, it is the largest man-made earthen mound north of Mexico. Facing south, it is 100 ft (30 m) high, 951 ft (290 m) long, 836 ft (255 m) wide and covers 13.8 acres (5.6 ha). It contains about 814,000 cu yd (622,000 m3) of earth. The mound was built higher and wider over the course of several centuries, through as many as 10 separate construction episodes, as the mound was built taller and the terraces and apron were added. Monks Mounds was named for the community of Trappist monks who resided there for a short time, after Euroamericans settled in the area. Excavation on the top of Monks Mound has revealed evidence of a large building, likely a temple or the residence of the paramount chief, which would have been seen throughout the city. This building was about 105 ft (32 m) long and 48 feet (15 m) wide, and could have been as much as 50 ft (15 m) high. It was about 5,000 sq ft (460 m2). The Rattlesnake Causeway leading from Monks Mound to Mound 66 is the city's ceremonial north-south axis. Early in its history, Cahokia underwent a massive construction boom. Along with the early phase of Monks Mound, an overarching urban layout was established at the site. It was built with a symbolic quadripartite worldview and oriented toward the four cardinal directions with the main east-west and north-south axes defined with Monks Mound near its center point. Four large plazas were established to the east, west, north, and south of Monks Mound. To the south of Monks Mound is the Grand Plaza, a large area that covered roughly 50 acres (20 ha) and measured over 1,600 ft (490 m) in length by over 900 ft (270 m) in width. Researchers originally thought the flat, open terrain in this area reflected Cahokia's location on the Mississippi's alluvial flood plain, but instead soil studies have shown that the landscape was originally undulating ridge and swale topography. In one of the earliest large-scale construction projects, the site had been expertly and deliberately leveled and filled by the city's inhabitants. It is part of the sophisticated engineering displayed throughout the site. It was used for large ceremonies and gatherings, as well as for ritual games, such as chunkey. The game was played by rolling a disc-shaped chunky stone across the field. The men would throw spears where they thought the chunky stone would land. The game required a great deal of judgment and aim. The major ceremonial north-south 'axis' connects the main precinct with the large ridgetop mortuary mound to its south now known as the Rattlesnake Mound (Mound 66). The feature, named the Rattlesnake Causeway by archaeologists, was an elevated embankment about 18 metres (59 ft) wide, roughly 800 metres (2,600 ft) in length and varies in height from 0.5 metres (1.6 ft) to almost 1.3 metres (4.3 ft) as it traverses a low swampy area to the south of the Grand Plaza. It is aligned 5° east of north, a direction thought to mimic the maximum southern moon rise of 5° west of north, albeit in reverse. This is thought to have had symbolic associations to the builders in connection with their lunar maize goddess of the underworld. This is further strengthened by its close proximity to the ridgetop mortuary Mound 72, the underworld connotations of the low water-filled area the causeway traversed, and its terminus at the mortuary complex at the Rattlesnake Mound. The causeway itself may have been seen as a symbolic "Path of Souls". The high-status central district of Cahokia was surrounded by a 2-mi-long palisade that was equipped with protective bastions. A later addition to the site, when the palisade was constructed, it cut through and separated some pre-existing neighborhoods. Archaeologists found evidence of the stockade during excavation of the area and indications that it was rebuilt several times. Its bastions showed that it was mainly built for defensive purposes. Beyond Monks Mound, as many as 120 more mounds stood at varying distances from the city center. To date, 109 mounds have been located, 68 of which are in the park area. The mounds are divided into three different types: platform, conical, and ridge-top. Each appeared to have had its own meaning and function. In general terms, the city center seems to have been laid out in a diamond-shaped pattern about 1 mi (1.6 km) from end to end, while the entire city is 5 mi (8.0 km) across from east to west. During excavation of Mound 72, a ridge-top burial mound south of main urban precinct, archaeologists found the remains of a man in his 40s who was probably an important Cahokian ruler. The man was buried on a bed of more than 20,000 marine-shell disc beads arranged in the shape of a falcon, with the bird's head appearing beneath and beside the man's head, and its wings and tail beneath his arms and legs. A mass burial containing 40 men and women who appear to have been violently killed, some of these may have been buried alive: "From the vertical position of some of the fingers, which appear to have been digging in the sand, it is apparent that not all of the victims were dead when they were interred – that some had been trying to pull themselves out of the mass of bodies." The relationship of these burials to the central burial is unclear. They were unlikely to have all deposited at the same time. Wood in several parts of the mound has been radiocarbon-dated to between 950 and 1000 CE. The "Chunkey Player" statuette made of Missouri flint clay depicts the ancient Native American game of chunkey. The statuette is believed to have been originally crafted at or near Cahokia Mounds was excavated at a Mississippian site in Muskogee County, Oklahoma. Excavations near Mound 34 from 2002 to 2010 revealed a copper workshop. This unique find was originally discovered in the 1950s by archaeologist Gregory Perino, but its exact location was lost for 60 years. It is the only known copper workshop to be found at a Mississippian culture site. The area contains the remains of three tree stumps thought to have been used to hold anvil stones. Analysis of copper found during excavations showed that it had been annealed, a technique involving repeatedly heating and cooling the metal as it is worked, as blacksmiths do with iron. Artisans produced religious items, such as long-nosed god maskettes, ceremonial earrings with a symbolic shape, thought to have been used in fictive kinship rituals. Many of the stylistically related Mississippian copper plates, such as the Wulfing cache from southeastern Missouri, some of the Etowah plates from Georgia, and many of the Spiro plates from Oklahoma, are associated with the Greater Braden style and are thought to have been made in Cahokia in the 13th century. The Cahokia Woodhenge was a series of large timber circles located roughly 850 m (2,790 ft) to the west of Monks Mound. They are thought to have been constructed between 900 and 1100 CE, with each one being larger and having 12 more posts than its predecessor. The site was discovered during salvage archaeology undertaken by Dr. Warren Wittry in the early 1960s interstate highway construction boom. Although the majority of the site contained village house features, a number of unusually shaped, large post holes were also discovered. When the holes were plotted out, they formed several arcs of equally spaced holes. Detailed analytical work supported the hypothesis that the placement of these posts was by design, and Wittry hypothesized that the arcs could be whole circles. He began referring to the circles as "woodhenges", comparing the structures to England's well-known circles at Woodhenge and Stonehenge. Additional excavations in the 1960s–1980s used predictions based on verified posthole locations and spacing to locate other postholes and confirm the existence of five separate timber circles in the general vicinity. The circles are now designated Woodhenges I through V in Roman numerals. In 1985, a reconstruction of Woodhenge III was built with the posts being placed into the original excavated post positions. The circle, which has 48 posts in the circle and a 49th central post, has been used to investigate archaeoastronomy at Cahokia. The Illinois Historic Preservation Division that oversees the Cahokia site hosts public sunrise observations at the vernal and autumnal equinoxes and the winter and summer solstices. Out of respect for Native American beliefs, these events do not feature ceremonies or rituals of any kind. Until the 19th century, a series of similar mounds existed in what is now the city of St. Louis, some 20 km (12 mi) to the southwest of the Cahokia site. Most of these mounds were leveled throughout the construction of St. Louis, as their material was reused in construction projects. The lone survivor of these mounds is Sugarloaf Mound, which is located on the west bank of the Mississippi. It marked the initial border between St. Louis and the once autonomous city of Carondelet. The Cahokia Museum and Interpretive Center, which receives up to a million visitors a year, was designed by AAIC Inc. The building, which opened in 1989, received the Thomas H. Madigan Award, the St. Louis Construction News & Reviews Readers Choice Award, the Merit Award from the Metal Construction Association, and the Outstanding Achievement Award from the Brick Manufacturer Association. Cahokia Mounds was first protected by the state of Illinois in 1923 when its legislature authorized purchase of a state park. Later designation as a state historic site offered additional protection, but the site came under significant threat from the federal highway building program in the 1950s. The highway program reduced the site's integrity; however, it increased funding for emergency archeological investigations. These investigations became intensive, and today continue, and have led to the present understanding of the significance of the site. The site was designated a National Historic Landmark on July 19, 1964, and listed on the National Register of Historic Places on October 15, 1966. Through the years my friends and I made occasional Sunday afternoon trips to the Mounds. When I became the State Senator, it afforded me the opportunity to secure funds for the acquisition of additional acreage in which there are smaller Mounds. Many of these have contained additional artifacts." The designation has helped protect the property and attract funds to conduct research on this significant civilization. ^ a: See Engraved beaker from Cahokia site, donated by Moorehead, ISM collection. for image of the object in question. ^ a b c "Cahokia Mounds". National Historic Landmark summary listing. National Park Service. Archived from the original on March 3, 2008. Retrieved July 23, 2008. ^ Waldinger, Mike (January 30, 2018). "The proud history of architecture in Illinois". Springfield Business Journal. Retrieved 30 January 2018. ^ "25 Must See Buildings in Illinois". USA Today. August 9, 2017. Retrieved 30 January 2018. ^ "Native American city on the Mississippi was America's first 'melting pot' | News Bureau | University of Illinois". News.illinois.edu. 2014-03-03. Retrieved 2014-03-29. ^ "12th-Century Cahokia Was a "Melting Pot"". Archaeology Magazine. Archaeology.org. 2014-03-06. Retrieved 2014-03-29. ^ Richter, Daniel K. (2011). Before the Revolution: America's Ancient Pasts. Cambridge, MA: Belknap - Harvard University Press. pp. 20–21. ISBN 9780674055803. ^ "Illinois Agriculture-Technology-Hand tools-Native American Tools". Retrieved 2010-07-12. ^ a b c d e f Snow, Dean (2010). Archaeology of Native North Americas. Upper Saddle River, NJ: Prentice Hall. pp. 201–203. ^ Benson, L. V., Pauketat, T. R. and Cook, E. R. (2009) "Cahokia's Boom and Bust in the Context of Climate Change", American Antiquity, 74(3), pp. 467–483. doi: 10.1017/S000273160004871X. ^ Glenn Hodges, "America's Forgotten City", National Geographic, January 2011. ^ a b Henderson, Harold. "The Rise and Fall of the Mound People". Chicago Reader. 2000-06-29. Retrieved 2016-05-28. ^ Emerson 1997, Pauketat 1994. ^ a b Skele, Mike (1988). "The Great Knob". Studies in Illinois Archaeology. Springfield, Illinois: Illinois Historic Preservation Agency (4). ISBN 0-942579-03-8. ^ "Monks Mound Slump Repair, Page 1". Lithiccastinglab.com. 2007-07-31. Retrieved 2012-09-10. ^ Steadman, Sharon R. (2009). Archaeology of Religion: Cultures and their Beliefs in Worldwide Context. Routledge. ISBN 978-1598741544. ^ Chappell, Sally A. Kitt (2002). Cahokia: Mirror of the Cosmos. University of Chicago Press. ISBN 9780226101361. ^ "Mound 66". Cahokia Mounds State Historic Site. Retrieved January 18, 2018. ^ a b Baires, Sarah E. (2014). "Cahokia's Rattlesnake Causeway". Midcontinental Journal of Archaeology. Retrieved January 18, 2018. ^ Romain, William F. (2015). "Moonwatchers of Cahokia". In Pauketat, Timothy R.; Alt, Susan M. Medieval Mississippians : The Cahokian World. School for Advanced Research Press. pp. 33–41. ISBN 978-1938645327. ^ "Cahokia and the excavation of Mound 72". Retrieved 2010-08-21. ^ Young & Fowler, p. 148. ^ Young & Fowler, pp. 146–149. ^ "Mound 72". Cahokia Mounds State Historic Site. Archived from the original on June 23, 2012. Retrieved March 31, 2012. ^ a b Pawlaczyk, George (16 February 2010). "Copper men: Archaeologists uncover Stone Age copper workshop near Monks Mound". Science. Retrieved 2010-11-08. ^ "Gahagan Long-nosed god maskette". University of Texas at Austin. Retrieved 2010-07-30. ^ "Aztalan – Wisconsin's Middle Mississippian Outpost". Milwaukee Public Museum. Archived from the original on May 27, 2010. Retrieved July 30, 2010. ^ Robb, Matthew H. (March 2010). "Mildred Lane Kemper Art Museum-Spotlight Series March 2010" (PDF). Saint Louis Art Museum. Retrieved 2012-05-02. ^ "Visitors Guide to the Woodhenge". Retrieved 2017-12-19. ^ a b c Iseminger, William R. "The Skywatchers of Cahokia". Mexicolore. Retrieved 2017-12-19. ^ Friedlander, Michael W. (2007). "The Cahokia Sun Circles". The Wisconsin Archeologist. 88(1): 78–90. ^ Wittry, Warren L. (1964). "An American Woodhenge". Cranbrook Institute of Science Newsletter. 33(9): 102–107 – via Explorations into Cahokia Archaeology, Bulletin 7, Illinois Archaeological Survey, 1969. ^ Thomas, Mary (2005). American Woodhenge: Archaeoastronomy at Cahokia (PDF) (Bachelors thesis). Northern Illinois University. Retrieved 2017-12-20. ^ Iseminger, William. "Welcome the Fall Equinox at Cahokia Mounds". Illinois Department of Natural Resources. Retrieved 2017-12-20. ^ "Winter Solstice Sunrise Observance at Cahokia Mounds". Collinsville Chamber of Commerce. Retrieved 2017-12-20. ^ "Cahokia Mounds Mark Spring Equinox : The keepers of Cahokia Mounds will host a spring gathering to celebrate the vernal equinox". Indian Country Today. Indian Country Media Network. Retrieved 2017-12-20. ^ "United States of America – UNESCO World Heritage Centre". UNESCO World Heritage Centre. March 11, 2009. Retrieved 2009-03-11. ^ "Congressional representative letter". Cahokia Mounds State Historic Site. Archived from the original on October 19, 2011. Retrieved October 30, 2011. Bolfing, Christopher (May 1, 2010). The Paradigm of the Periphery in Native North America (Thesis). Texas State University-San Marcos, University College, University Honors Program. pp. 67–68. Retrieved 2012-05-02. Emerson, Thomas E. (1997). Cahokia and the Archaeology of Power. Tuscaloosa, AL: University of Alabama. ISBN 0-8173-0888-1. Emerson, Thomas E.; Lewis, R. Barry (1991). Cahokia and the Hinterlands: Middle Mississippian Cultures of the Midwest. Urbana, Illinois: University of Illinois. ISBN 0-252-06878-5. Kelly, John E.; Brown, James A.; Hamlin, Jenn M.; Kelly, Lucretia S.; Kozuch, Laura; Parker, Kathryn; Van Nest, Julieann. "Mound 34 : The Context for the Early Evidence of the Southeastern Ceremonial Complex at Cahokia". In King, Adam. Southeastern Ceremonial Complex: Chronology, Content, Context. University of Alabama Press. pp. 57–87. ISBN 978-0-8173-5409-1. Lankford, George E.; Reilly, F. Kent; Garber, James (eds.). Visualizing the Sacred: Cosmic Visions, Regionalism, and the Art of the Mississippian World (PDF). University of Texas Press. p. 227. ISBN 978-0292723085. Pauketat, Timothy R. (2009). Cahokia: Ancient America's Great City on the Mississippi. New York: Viking Adult. ISBN 978-0-670-02090-4. Pursell, Corin (2004). Geographic distribution and symbolism of colored mound architecture in the Mississippian Southeast (Thesis). Southern Illinois University Carbondale. p. 205. Townsend, Richard F; Sharp, Robert V; Bailey, Garrick Alan (2000). Hero, Hawk, and Open Hand: American Indian Art of the Ancient Midwest and South. Yale University Press. ISBN 0-300-10601-7. Emerson, Iseminger; Nance, L. Michael; Winslow, Madeline; Gass, Marilyn (2001). Cahokia Mounds State Historical Site Nature / Culture Hike Guidebook, 4th revised edition. Collinsville, Illinois: Cahokia Mounds Museum Society. pp. 79 pp. Milner, George R. (2004). 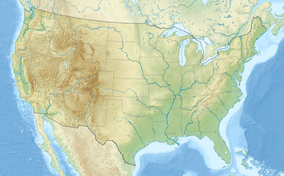 The Moundbuilders: Ancient Peoples of Eastern North America. London: Thames and Hudson, Ltd.
Mink, Claudia Gellman (1992). Cahokia, City of the Sun: Prehistoric Urban Center in the American Bottom. Collinsville, IL: Cahokia Mounds Museum Society. ISBN 1-881563-00-6. Pauketat, Timothy (1994). The Ascent of Chiefs: Cahokia and Mississippian Politics in Native North America. Tuscaloosa, AL: University of Alabama. ISBN 0-8173-0728-1.